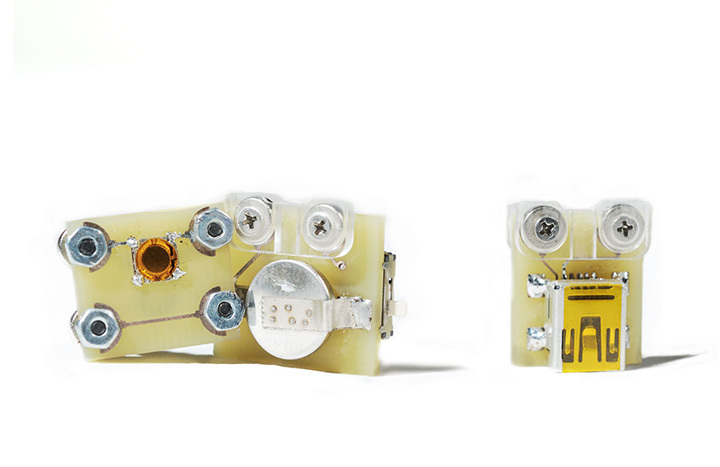 littleBits are simple, intuitive, plug and play blocks that make prototyping electronic circuits accessible to non-engineers. 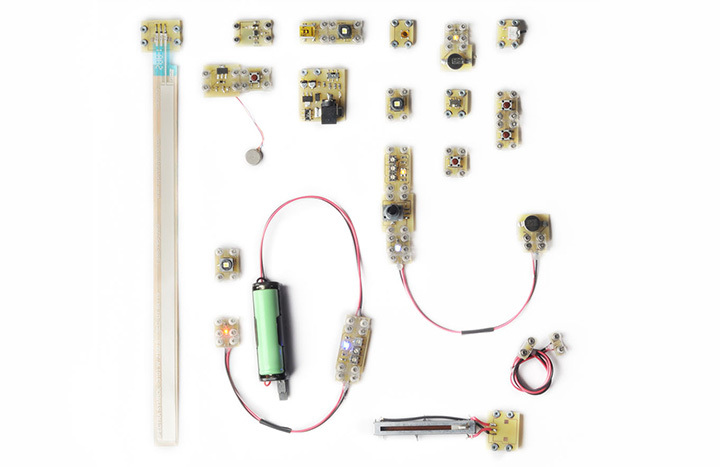 It is a kit of discrete electronic components pre-assembled in tiny magnetic circuit boards. 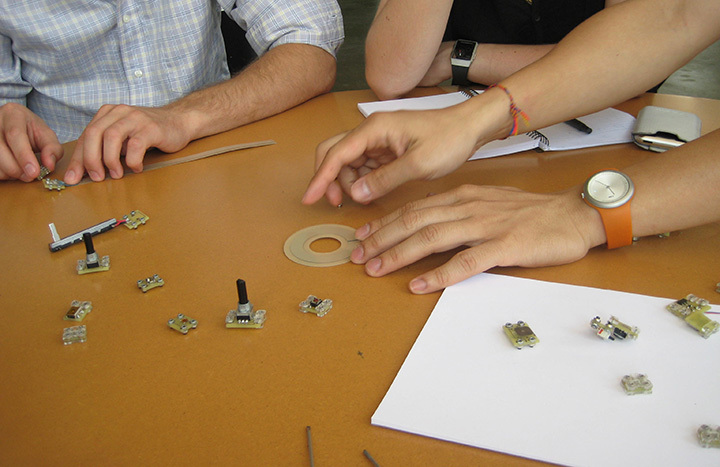 These tiny magnetic modules can be easily pieced together to model a variety of functional physical user interface concepts. 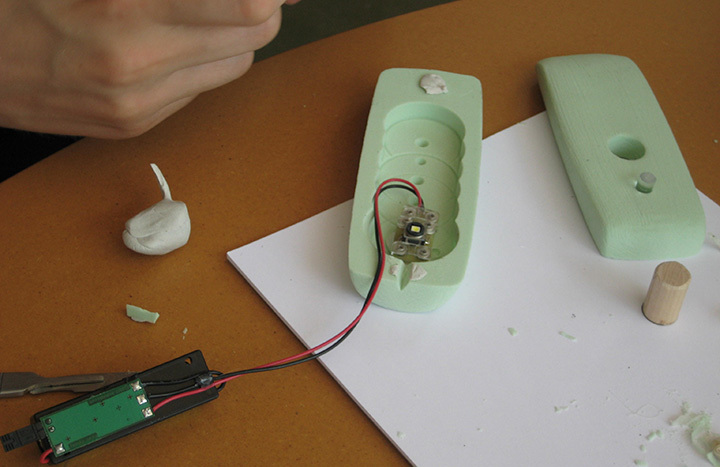 The alpha version of littleBits was designed and developed at Smart Design in collaboration with Ayah Bdeir. 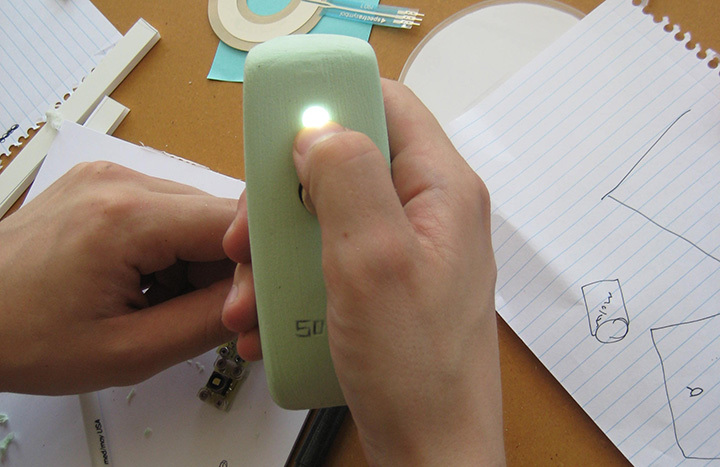 Initially the intent was to create an internal prototyping tool to help non-engineers work with electronic components. Ayah, along with a number of additional collaborators have continued to develop littleBits over the past 4 years and it is now available as a commercial product.